so I decided to stay in and update my blog. I have a few new things to share. First is a card I made for Magistical Memories. 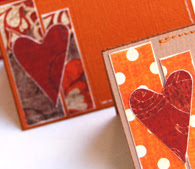 I used the Crazy for Gears chipboard. I painted it, sewed all over it, and... voila! Next is a card I made using sketch #33 over at Sketch This: Cards. I had a lot of fun with the hand-stitching on this one. 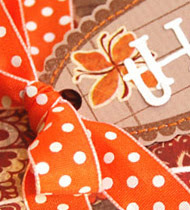 And last are a few sneak peeks of my projects for November's Self-Addressed kit. I absolutely loved all of the beautiful ribbon in the Dress It Up addition this month. It was almost too beautiful to cut up. Well, that is it for me today. Hope you all had a Happy Thanksgiving. Thanks for stopping by! today. The new sketch (#31) is up over at Sketch This: Cards! blog. Great sketch, Janelle! 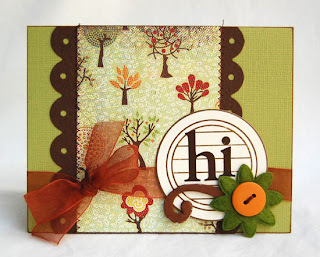 I had a lot of fun with this one, using the new Doodlebug papers and Creative Cafe buttons and felt. 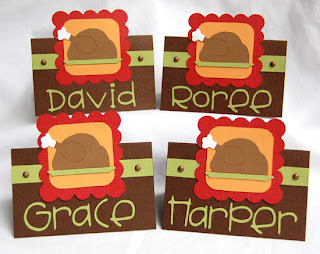 I also finished up my Provo Craft projects for November. I tried to keep everything in a fall or winter theme. 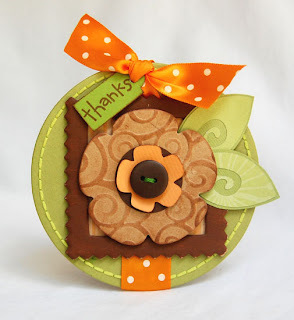 Here is a Thanks tag I made using tons of Provo Craft products (too many to name). 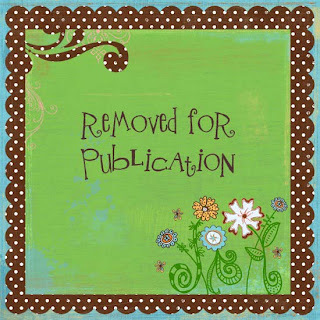 I just love this new chipboard! 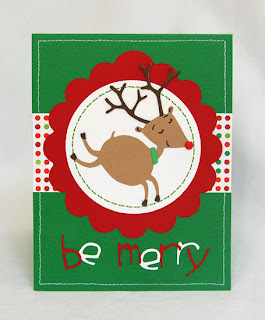 Lastly is a Be Merry Christmas card. 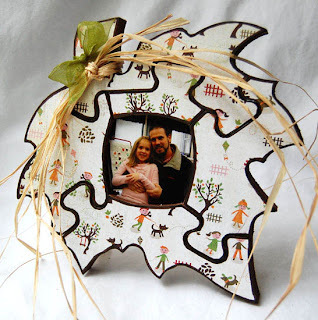 For this I used my Cricut machine, Christmas Cheer cartridge, Celebrations cartridge, and ZooBalloo cartridge. Christmas will be here before you know it. Making Christmas cards sure gets me in the holiday spirit! I had a question from Sandie on my previous post about the little purse. (I didn't see a place to email you, Sandie, so I will answer you here.) To make it, I cut the pockets off of an old pair of my daughter's shorts and did a lot of hand stitching. It took a little while, but I think it turned out pretty cute. Well worth the effort! I bet you could use some fabric glue, though, put it together a lot quicker. Well, that's it for me today. Thanks for stopping by! And last, but not least, is my take on Sketch 30 for Sketch This: Cards! blog. There is lots of great inspiration over there. Go take a peek! That's it for me tonight. Thanks for stopping by!